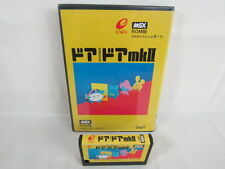 This is a mix of Makaijima - Higemaru by Capcom (1987). The included tunes are Island Start, Ocean Theme, Pirate Ship Theme, Chuck Island Theme, Boss Theme and Game Over. Composed in Moonblaster 1.4 and Moonblaster for Moonsound WAVE 1.03. FranSX' entry to the Pimp my PSG challenge is an arrangement of the main theme of the Topo Soft game Stardust for Moonsound. 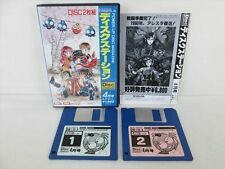 In the download you can find two MP3 versions, one recorded with a real Moonsound and one with the openMSX emulator/ The download also contains the MBWave files to play the song, and an auto-executable DSK for DOS2 and Moonsound. FranSX' second entry to the Pimp my PSG challenge is an arrangement of the main theme of the Opera Soft's game Ulises. In the download you can find an MP3 with the Moonsound recording, as well as the MBWave files to play the song, and auto-executable DSKs for the arrangement and the original. FranSX's third entry to the Pimp my PSG challenge is an arrangement of the theme of Topo Soft's game Titanic. Jorito's entry in the Pimp my PSG challenge is a bossa nova, lounge style take on the Castlevania song Wicked Child. The download contains the Moonsound MWM file and an MP3 of the song. [WYZ]' Pimp my PSG challenge entry shows us how [WYZ] would have liked to hear the Star Force OST, but played on 2 PSGs in stead of one. 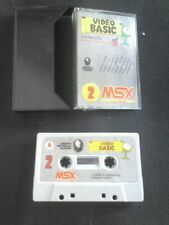 To play the tune you need a ROM loader and a MegaFlashROMSCC+SD inserted. Yzi's entry in the Pimp my PSG challenge is a remake of Lieves!Tuore's track from the demo Aekrus. The download comes with its own replayer with a nice image by Marq/L!T. The song uses vblank timing and was made for 50 Hz interrupt speed. The player sets a 50 Hz rate, if it detects a VDP2 or better video chip. Hans Cnossen's entry for the Pimp my PSG challenge is a remix of Wicked Child for Moonsound.